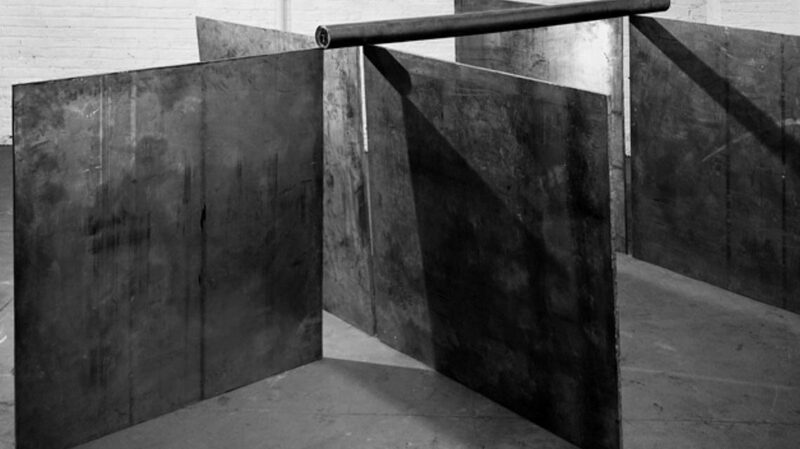 The exhibition Props, Films, Early Works presents the early work of artist Richard Serra, the so-called “Props” or “Prop Pieces,” as well as his film works from the late 1960s and early 1970s. Both work groups foreground the theme of artistic actions – the placing, propping up and, ultimately, arranging of the lead plates corresponds to the simple actions portrayed in the filmic works. 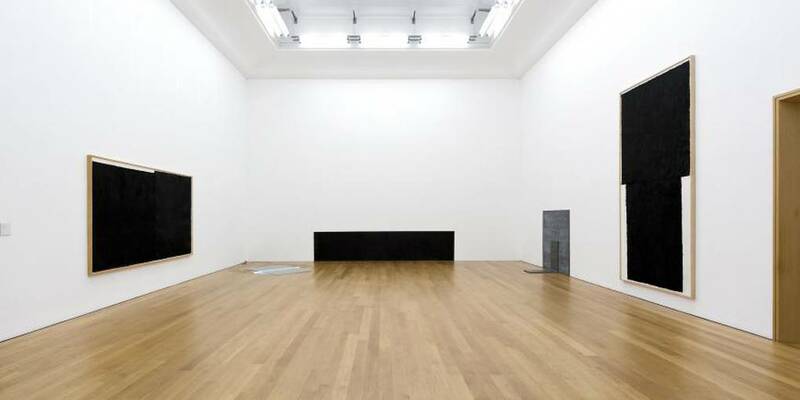 The aesthetic of Richard Serra’s works draws on the physical parameters of the material, its surface, weight and stability. Their arrangement always represents one possible balanced positioning of the work’s elements. Though they convey a sense of fragility and fleetingness — Serra himself calls the central work of the cycle “House of Cards”— the sheer weight of the plates making up these constellations keeps them fixed and unchangeable. A selection of twelve “Prop Pieces,” produced in the same period out of rubber and other materials, is presented together with early filmic works. The exhibition features the works of this “hero of Modernism,” showing his beginnings and approaches of the late 1960s in an attempt to document the contemporaneity and relevance of his work still today. The exhibition was designed in close cooperation with the artist and features works on loan from the Museum of Modern Art, New York; the Whitney Museum of American Art, New York; Tate Modern, London; and the state collections of North Rhine-Westphalia and Bavaria, among others.